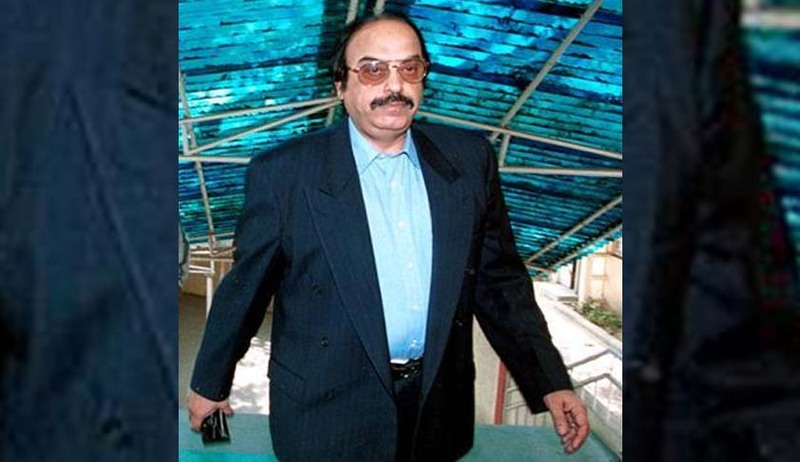 In a huge setback to business tycoon Gopal Ansal, the Supreme Court today dismissed his plea seeking withdrawal of the February 9 order sentencing him to one year in jail and asked him to surrender on March 20 in the 1997 Uphaar Cinema fire case. He has to surrender in Patiala House Court after which he will be lodged in Tihar jail to serve one year in the prison. "We are dismissing the Criminal Miscellaneous Petition. Accused Gopal Ansal is directed to surrender to serve the remaining sentence on March 20", the special three judge bench headed by Justice Ranjan Gogoi said rejecting all arguments of Senior criminal lawyer Ram Jethmalani who represented Gopal Ansal. The bench also dismissed the petition filed by Association Of Victims of Uphaar Tragedy challenging the setting free of Sushil Ansal. Jethmalani vociferously argued that Gopal Ansal too deserved to be treated on par with Sushil Ansal who was excused from serving remaining part of the sentence as Gopal too was ill as he suffered from high blood pressure, sugar and backache. "He too is entitled to same treatment and it cannot be denied to him merely on the ground that the health plea was not raised earlier. His lawyer held an affidavit citing his poor health on the day of his conviction in the trial court but somehow could not submit it" Jethmalani argued. "Even after the judgment he suffered a cerebral attack and that has to be considered" he said. Jethmalani also argued that "the maximum sentence can only be given in cases of unimaginable gravity". But the bench was not impressed. Seeking a lenient view, he drew the attention of the bench to the fact that the Ansals had paid a compensation of Rs 10 crore to the victims families besides the Rs 30 crore fine imposed by the court. Senior lawyer Harish Salve who appeared for CBI argued that review of a review was not maintainable and urged the bench to dismiss Gopal Ansal's plea. "This Crimimial miscelleanous application is actually a review petition" he argued. The bench accepted the argument and applying the very same principle also rejected the one filed by victim's association challenging order setting Sushil Ansal free. The bench had in a 2:1 majority verdict on February 9 granted relief to 76-year-old Sushil considering his "advanced age-related complications" by awarding him jail term already undergone and had asked his younger sibling Gopal to surrender in four weeks to serve remaining one-year jail term in the 20-year-old case. Gopal sought similar relief claiming that he was 69 years old and would suffer irreparable damage to his health if he is sent to jail. On their part the association of the kin of victim AVUT questioned the leniency shown by the bench on February 9 while setting free Sushil Ansal on account of his old age. Their petition said: it is clearly evident from the aforesaid that respondents have never even attempted at any time to prove any medical complication.Their sole argument at every point has been confined to the ruse of old age, which can never be a ground for indulgence in reducing the sentence of a convict. “In other words, the sole ground for seeking indulgence of reducing sentence to the period undergone was only due to the prolonged trial faced by him which has rendered Sushil Ansal old. It is respectfully submitted that as per the settled principles of law on sentencing as laid down by this Hon’ble Court mandates that mere old age cannot be the sole criteria for reducing sentence awarded. In this behalf, reference may be made to the judgments reported as (2016) 1 SCC 583”, it added. Blaming the Ansals themselves for the delay in trial, it said “It is also important to mention here that the prolonged trial in this case was the result of deliberate dilatory tactics of Sushil Ansal himself and therefore he cannot claim the benefit of old age after having deliberately dragged the proceedings for two decades”.